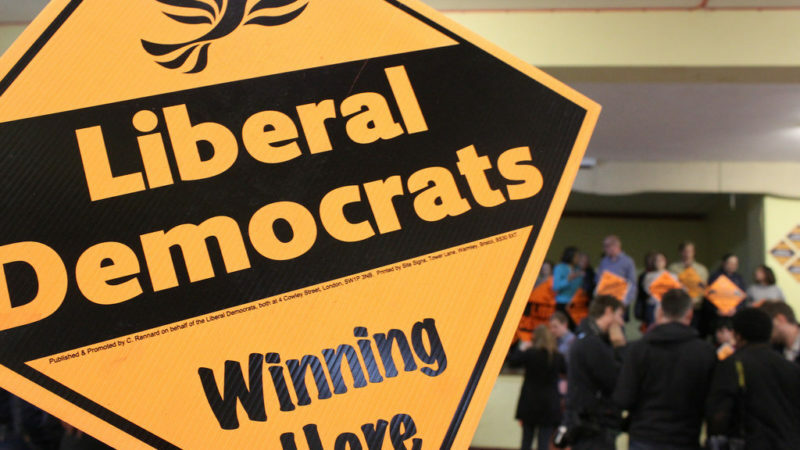 With local elections on the horizon, the resignation of Vince Cable, and talk of an Independent Group merger, it’s worth looking at how and when Lib Dems do well. One revealing case study is the South West London borough of Kingston-upon-Thames, whose largest constituency is represented by Lib Dem MP Ed Davey. A Lib Dem landslide last year saw them get over 50% of the local vote, wrest control of Kingston Council from the Conservatives and take 39 out of the 48 available councillor positions. Most of these councillor seats had been held by Tories or Tory defectors. Labour also lost two. Local activists think it would be crude to assume that the 2018 local elections were simply a litmus test of opinion on Brexit. Overall, Kingston is a Remain borough, but there are divisions of opinion. Areas in the northern part of Kingston borough voted Remain in the 2016 Referendum. Places like Chessington and Tolworth, to the South, on the Surrey border, voted Leave. Interestingly, the Lib Dems didn’t make their Brexit policy central to their campaign despite being supporters of a second referendum. Instead, the Lib Dems staked their campaign on the message that ‘Labour Can’t Win in Kingston.’ As happens in otherwise Tory areas across the country, this message took pride of place in their campaign literature and was repeated ad nauseum. Their entire strategy revolved around tactical voting. It was strengthened by Ed Davey’s personal reputation. Davey has built a strong name for himself since becoming MP in 1997. After serving in David Cameron’s government, the electorate punished Davey and he was replaced from 2015 until 2017. But his tactic of showing face at as many community events as possible has made him well-known and well-liked. The Lib Dems took advantage of this in 2018, by having his face plastered on their leaflets. Labour, by contrast, were able to capitalise on their influx of enthusiastic new members. Mass canvassing in one ward of Surbiton saw Labour’s only increase in the vote share across the borough. Yet, activists faced one recurring challenge on the doorstep. Residents regularly conceded that they were attracted to Labour policy and had not forgiven the Lib Dems for the Coalition years, but they would be voting Lib Dem to prevent the Tories from retaining power. Undoubtedly, the borough’s culture of tactical voting predates 2018. In addition, the Kingston & Surbiton Labour Party has to take some responsibility for its failure to win new ground. Far from being a well-oiled machine, Labour ran a disjointed campaign that took too long to organise. Having had the time to recover, it’s imperative that Labour challenge the Lib Dems and work towards future electoral gains. Bizarrely, in Kingston-upon-Thames, the Lib Dems tapped into a widespread anti-Tory and anti-austerity sentiment. Understanding that public opinion was not on the side of the Conservatives, the Lib Dems targeted the Labour vote. Opting to campaign on such a specific basis meant the Lib Dems were not backed up with any concrete plans for what to do when they assumed office. Since taking back Kingston Council, the Lib Dems have held true to the position they developed during the Coalition years. They announced a budget in January 2019 that re-committed them to austerity politics, under the guise of ‘grown-up’ decisions. The controversial Lib Dem plan to close children centres even made it to BBC London News. Homelessness is dramatically rising, and Kingston-upon-Thames has the fourth highest waiting list for social housing in England. Lib Dems are often defined by a quest for power for power’s sake. But will Kingston-upon-Thames ever have a reprieve from Tory austerity and a visionless Lib Dems? There are some signs that Labour is moving in a more positive direction. Thanks to energised first-time campaigners, the local Party has been able to re-activate its branch structure. As soon after the elections as June 2018, a Surbiton Branch re-opened and members have been out in the community since. This initiative, designed to create a stronger network in areas neglected in the past, has even attracted the attention, support and investment of Labour’s National Executive Committee. To secure victories in new territories like in South West London, Labour must hold true to its anti-austerity agenda, make full and coordinated use of its large membership, and continue developing strong local links. Conor Bollins is an activist and academic. You’ve missed the obvious answer; get rid of corbyn. In 2015, a Progress-dominated Labour party lost what appeared to be an unloseable election to the toxic Coalition, and got the party annihilated in Scotland. That Corbyn managed to turn that around as much as he did in only 2 years was astonishing. Any discussion about the future of Labour that ignores that fact, as most of Corbyn’s critics do, will doom Labour to permanent irrelevance. The only way the Lib Dems can do well is if a large number of people suffer temporary memory loss covering 2010 – 2015. The trouble is that for many of the electorate Brexit has performed the role of displacement activity so little attention is devoted to the real issues under the banner of austerity.